Love is in the air! 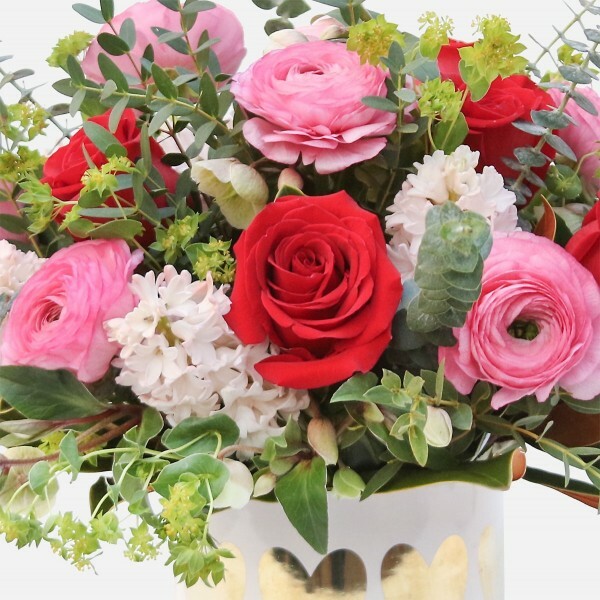 This delightfully fragrant arrangement of ranunculus, roses, and hyacinth will surely make someone feel special! NOTE: This discounted product is avaiable for delivery up to Wednesday, Feb 13th. 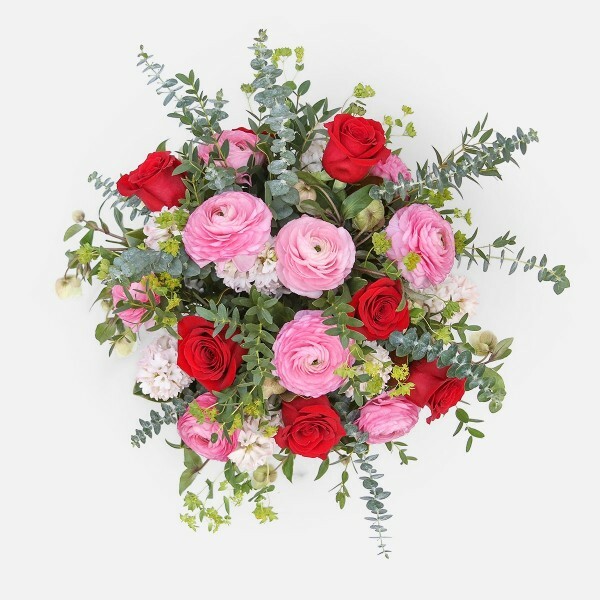 The Cupid's Arrows floral arrangement features lovely red roses alongside pink ranunculus and hyacinths. 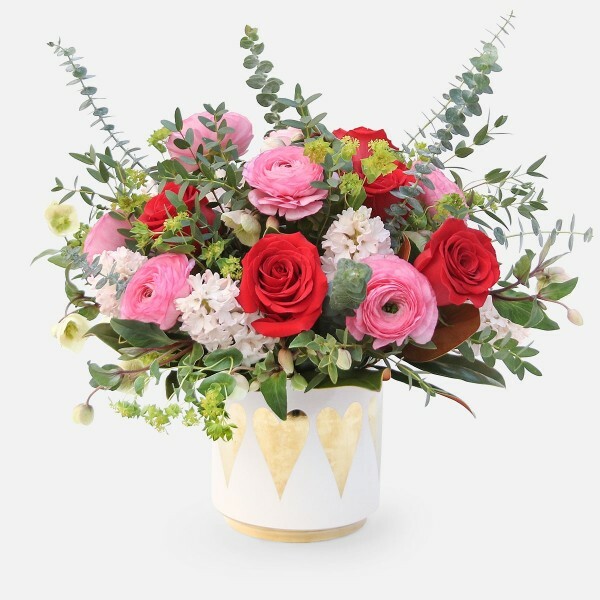 Sprays of white hellebore are nestled in a cloud of fresh greens and fragrant eucalyptus. Send Cupid's Arrows to make a statement to someone you love! 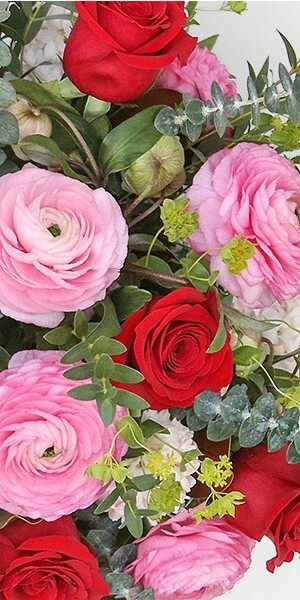 Flower hand-delivery in NYC from Plantshed New York Flowers. Free Manhattan delivery is available for orders over $100 (per location).